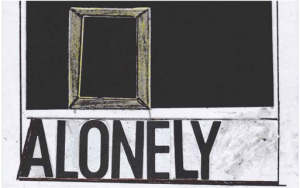 These are two extracts from ‘ALONELY’, a powerful and emotive set of monologues, developed by community researchers and based on real-life experiences, and one of the research projects tackling the subject of loneliness. 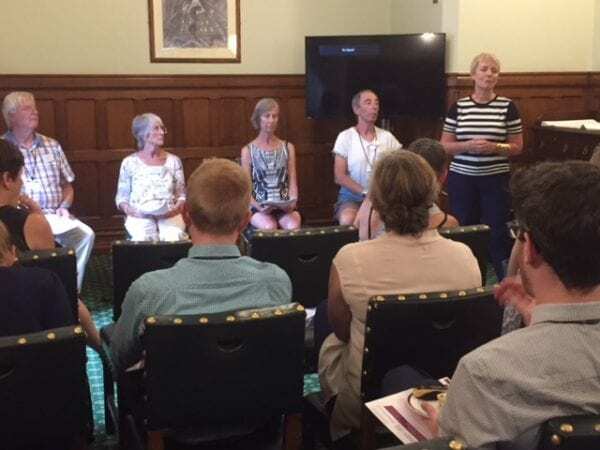 Amid the turmoil of resignations and Brexit rows on 9th July 2018, there was also an exciting event underway in Parliament, taking positive steps towards addressing the issues of social isolation and loneliness. The event brought together researchers from University of Bristol, BS3 Community Development and Manchester Metropolitan University, who have co-produced research with young people and older people on social isolation and loneliness. This was a unique opportunity to challenge and explore how policy makers, major funders and other influencers might enable creative, holistic, community responses to the issue of loneliness. The event was opened by Karin Smyth, MP Bristol South, who explained why loneliness is an issue of real concern for her, as the daughter of a now older mother. We were also joined by Rachel Reeves MP Leeds West, former co-Chair of the Jo Cox Commission on Loneliness and Chair of All Party Parliamentary Group on loneliness. Rachel spoke about the Commission’s work and that of the APPG, both of which are trying to understand the effects of changes in people’s lives, and also how loneliness can affect people at any time of life. 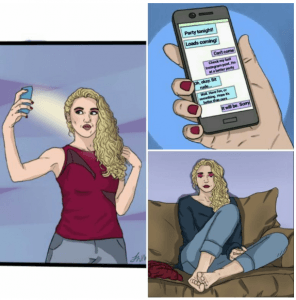 She also raised the important link between loneliness and disability: one in four disabled people experience loneliness every day; yet as much as half of the British population say they have ‘no experience’ of disability. We – all of us – need to redress this. For the past couple of years, academics at the University of Bristol and Manchester Metropolitan University, in partnership with BS3 Community Development, have been working with young people and older people to better understand loneliness and how we can tackle it. Meanwhile, Dr James Duggan from Manchester Metropolitan University discussed youth loneliness, starting from the premise that many people think of loneliness as something that only happens to older people. Loneliness Connects Us supported 144 young people from across the UK to use arts-based and co-produced methods to develop collective thinking and have conversations that matter to include the voices of young people in a growing national debate about youth loneliness. The research was translated into an immersive theatre experience titled ‘Missing’, enabling young people to encounter experiences of loneliness in a safe and productive way. Work is also underway for a youth assembly group to explore how to collectively develop new social relations around sociability and technology, replacing the dreaded FOMO (or Fear Of Missing Out) with JOMO (or Joy Of Missing Out). Ruth Green, Community Development Manager from BS3 Community Development introduced the charity’s role in the project and the participants/actors from Bristol. The actors, all community researchers in BS3 Bristol and all over 60, have at some point in their lives experienced loneliness, isolation, and depression. In their research, they spoke to older people in the community about their real-life experiences, and worked with a dramaturg and producer to create ALONELY – a powerful and emotive set of monologues based on their findings. ALONELY has been performed at various venues in Bristol and London, and has been well-received. Another initiative that emerged from this project is called ‘Tech and Talk’ – an intergenerational project that aims to bring older people into cafés to learn about technology- research in BS3 identified that in this digital age, technology is daunting for some older people. As Rachel Reeves MP commented, social media is both part of answer and part of the problem, in its potential to worsen loneliness but also its power to help people stay connected. The appointment earlier this year of a Minister for Loneliness is a step in the right direction; last month the Government announced a £20m funding package for charities and community groups to help tackle the issue. The Co-op Foundation and the British Red Cross have also done some work on how loneliness affects men, and identified that the loneliest age for men is in their late thirties. The Jo Cox Loneliness Commission has recommended that the Government designs and implements a ‘measure’ of loneliness to assess – on a more longitudinal basis than has previously been possible – where we’re at with loneliness across the life course. The Bristol-led project was part of the Productive Margins – Regulating for Engagement programme, led by Professor Morag McDermont, University of Bristol. The programme is about empowering communities at the margins to engage with the regulatory systems that ‘rule’ everyday life. The Economic and Social Research Council (ESRC) and the Arts and Humanities Research Council (AHRC) took a risk in funding this programme: it did not start out with clearly defined methodologies and outputs but allowed them to be co-produced between community-based organisations and academics. Risk taking on the part of funders, Morag stressed, is essential for facilitating these creative possibilities to shine through. Karin Smyth MP closed the event with a plea to funders to keep funding this kind of ‘risk-taking’ co-produced research. She welcomed the policy initiatives that are already underway, and encouraged community-based organisations to keep up their action-led intergenerational projects, so that together we can tackle loneliness. You can read more about the research findings and their implications for policy in the recently published policy briefing, emphasising the importance of intergenerational engagement projects, the power of community-based interventions, and the need for appropriate funding mechanisms and support. If you feel affected by any issues discussed in this article, talk to the Samaritans. If you live in South Bristol and want to find out more about Tech and Talk, and other opportunities for young people and older people alike, go to the BS3 Community Development website. This entry was posted in Bristol, Health and wellbeing, Methodologies and data analysis and tagged Alonely, loneliness, Loneliness Connects Us, older people, social isolation, young people by policybristol. Bookmark the permalink.